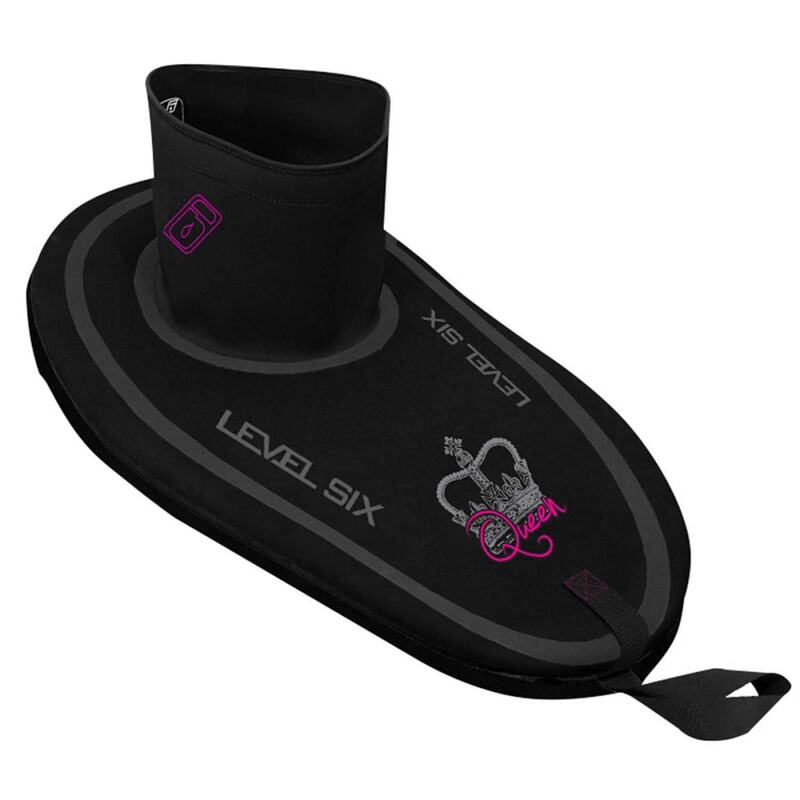 The Level Six Queen Sprayskirt is designed specifically for the women of the royal whitewater court. Its tough diamond-patterned 4 mm deck and comfortable tunnel keep you and your boat dry no matter how extreme the conditions. This product will be shipped directly from Level Six and will leave their warehouse in 2-3 business days. Eligible for UPS ground shipping only. Based on the construction of the Jack Sprayskirt, this shock-cord bungee randed whitewater skirt is fit specifically with women in mind. 4 mm diamond-grid neoprene deck provides taut, water-shedding protection. The bungee rand stretches to fit a wide range of cockpit sizes. The stretchy 2 mm neoprene tunnel offers a snug, watertight fit without cinching tight like a corset. Silicone Hyper Grip Treatment on underside of the deck flange provides extra reinforcement, increasing the seal against your boat. The seams are glued, stitched and taped for total waterproofness. All Level Six products are covered under a one year manufacturers warranty against defects in materials and workmanship.